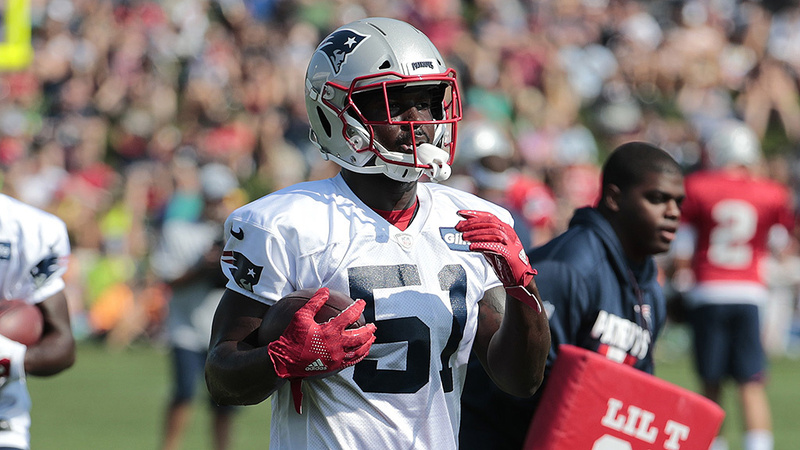 First-round pick Sony Michel has undergone a draining procedure to clean up some issues with his knee, per multiple sources. It's expected to keep him out through at least the first week of the preseason, but beyond that different sources have different opinions on the severity of the procedure. ESPN's Mike Reiss reported that Michel will "be sidelined at least 10 days," but he made sure to clarify that the running back isn't expected to miss "a significant portion, if any" of the actual season. We'll just have to wait to figure out who ends up being right--though at the very least, Michel won't be playing in Thursday night's game against the Redskins. Missing preseason time shouldn't hurt him too much, but if the recovery stretches into September that would be a different story altogether.